Make sure that the Network I/O statistics collection is enabled. 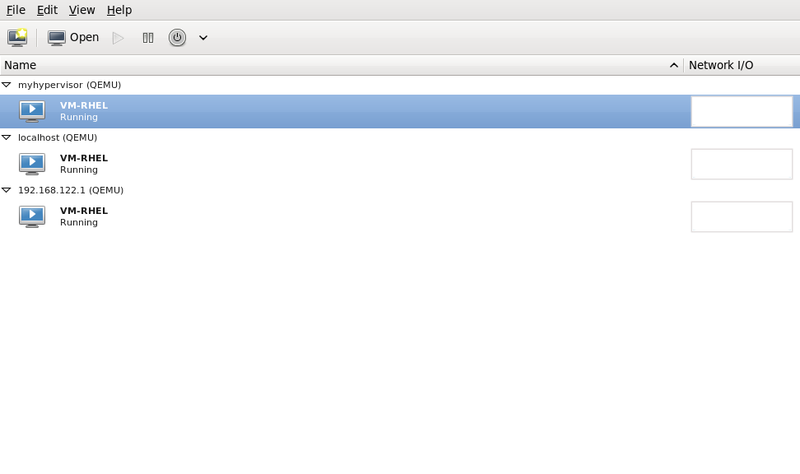 To do this, from the Edit menu, select Preferences and click the Statstab. Select the Network I/O check box. 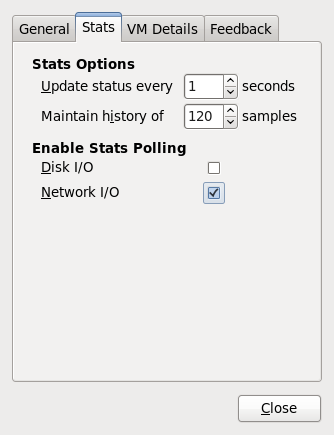 To display the Network I/O statistics, from the View menu, select Graph, then the Network I/O check box. 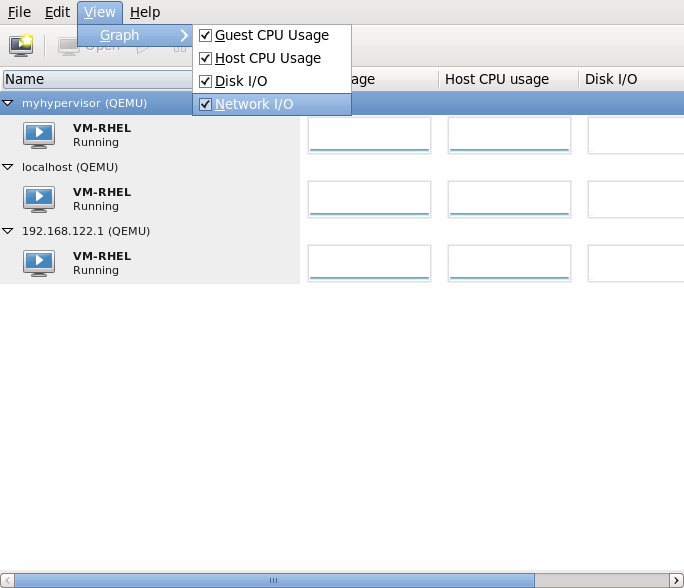 The Virtual Machine Manager shows a graph of Network I/O for all virtual machines on your system.